For example, the verb run + the preposition up = run up. We ran up a huge bill in the restaurant last night! This activity will take longer than we first thought as we have run up against some problems. How many phrasal verbs can you think of containing the preposition up? 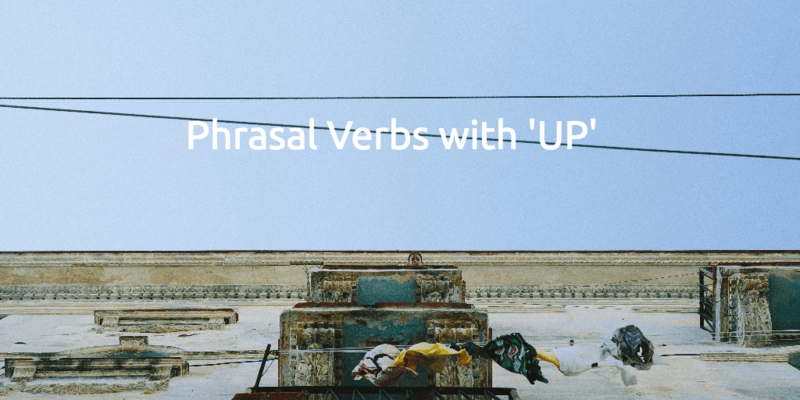 Do you have a favourite way to pick up phrasal verbs? 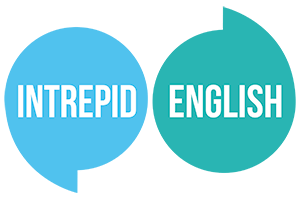 Do you make a note when they come up in conversation or do you like to speed up the learning process by reading up on this grammar in a textbook or looking it up online? We've dished up this list to help you brush up your knowledge of some of the most common up phrasal verbs. Take the quiz at the end of the blog to test your understanding. This phrasal verb describes a lightening in the weather, or in a person's mood. It could also refer to the process of improving something, like repainting an old, peeling wall. You won't need to take your coat and umbrella, it's beginning to brighten up outside. Sarah has just bought several tins of paint; she's going to brighten up the old garden shed. Speed up describes the process of making something faster. We need to ask the driver to speed up if we want to get to the airport in time. The project is falling behind schedule. Let's speed up the testing phase to get back on track. This phrasal verb has many different meanings. However, back up is most commonly related to reversing something, such as a car. You could back up, or create a copy of, important data to ensure at least one copy remains available if the original is destroyed. Please back up your car as it is blocking the driveway. I recommend backing up all of your data in case your hard drive crashes. We use this phrasal verb to describe accumulating money, usually to make a large purchase in future. Joe has been saving up for more than a year to buy his dream house. I can't come to the party this weekend because I'm saving up for a new car. Here's another phrasal verb with many uses. Hold up could relate to supporting or lifting something, or it could describe stopping something. You could use hold up to talk about fulfilling your part of an agreement, or to recount a crime. Can you hold up this picture while I hammer in the nail? I'm sorry I'm late, I was held up in traffic. They held up their end of the deal, so we have to hold up ours. Two gunmen held up the Central Bank this morning. Exercise: Now it's your turn. Fill in the gaps in the sentences below with the correct form of the phrasal verbs from this blog post. The protesters __________ colourful signs and banners. My computer crashed last week and I lost my files. I must remember to __________ my hard drive in future. Let's __________ this room with some white paint and a new sofa. The train was __________ due to ice on the train track.